Help your exhibitors stand out with a custom stand option at your expo. Boring white walls and aluminium frames are making their way out of exhibitions. As exhibitors continue to spend money with event organisers they want to see that their money is well-spent. Enter custom exhibition stand options. Were you aware that you can create custom stands to replace shell-scheme systems for your exhibitors? Custom exhibition stand options can be designed to incorporate your branding as well as the event theme. 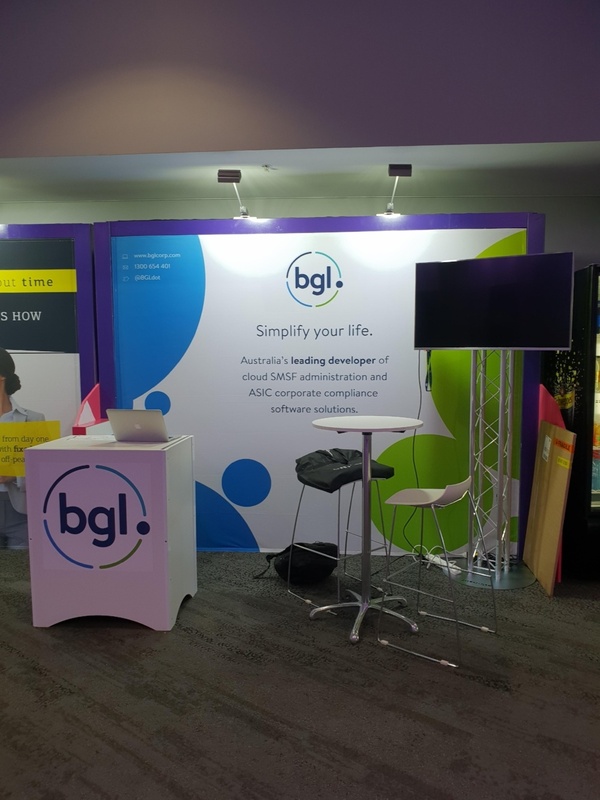 In the picture seen here, custom booths were designed and built for an exhibition ran by MYOB Australia. They wanted to incorporate their branding into the booths, and offer a great chance for their exhibitors to really stand out with graphics. Offering a custom stand to exhibitors at your event will help them stand out. It replaces the boring white walls and aluminium frames. As seen in these pictures, our client has incorporated their branding into the custom stand to offer their exhibitors. It helps to create a uniform look across the exhibition. With additions such as furniture and cabinets there are so many options for your to customise your exhibition and offer a better solution to your exhibitors. We also offer registration counters for event organisers that have plenty of space, this allows for easy registration processes for the duration of your event. There are various stand accessories, furniture packages and AV equipment available for exhibitors to hire to improve their exhibiting. 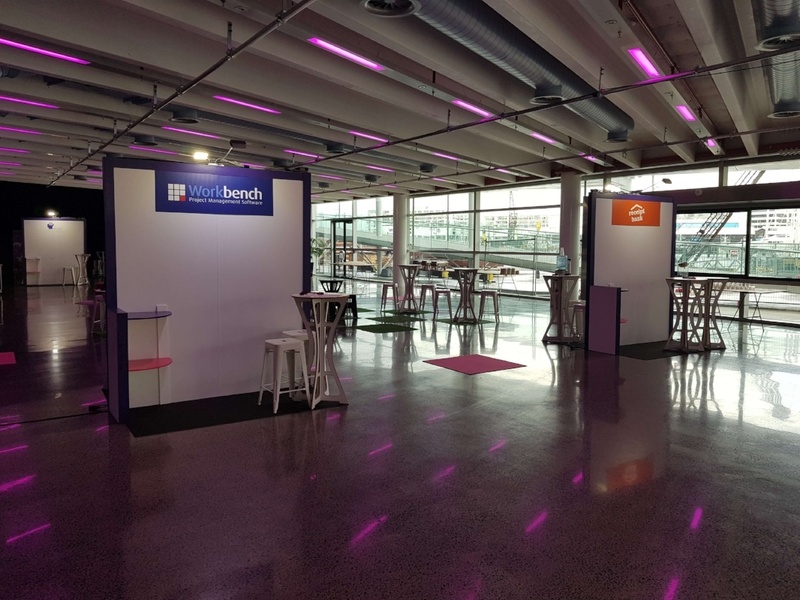 Our custom exhibition stands are available in different configurations and lengths and these can reflect the location of your event and how many exhibitors you have. Ready to design the stands for your expo?